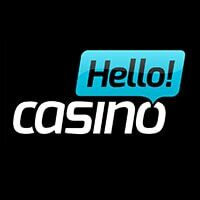 Online Casino recommendations from a Real Slots Player! 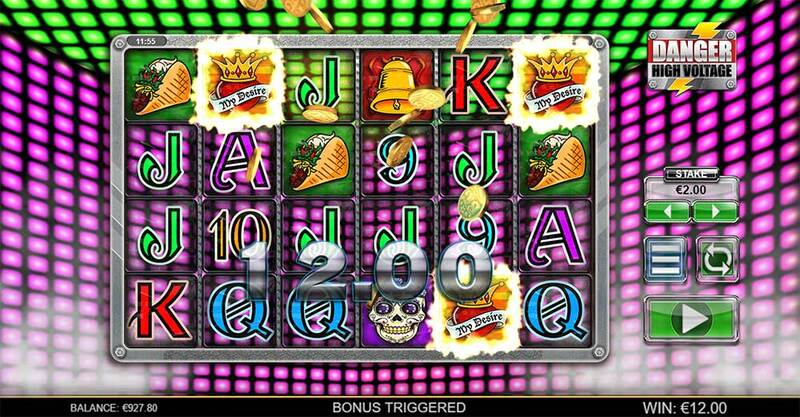 LeoVegas Casino has recently added the brand new online slot from Big Time Gaming titled Danger High Voltage which as the name suggest has the accompanying music soundtrack from Electric Six as you spin the reels during the bonus round and some symbols such as the Taco Bell and Disco themed symbols which are referenced in the song. 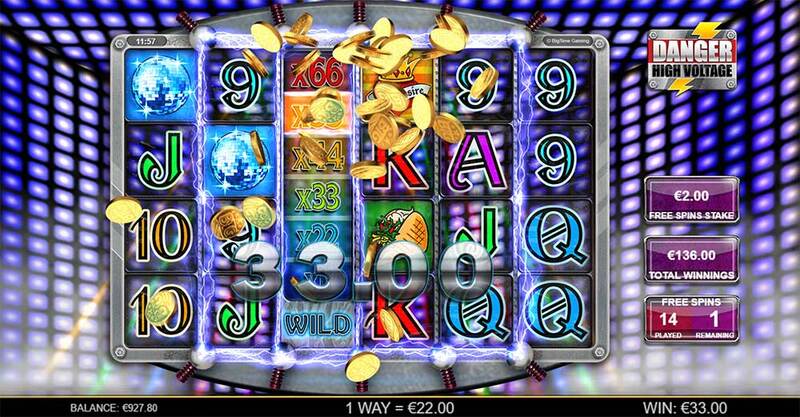 The Danger High Voltage slot uses an extra large reel set like many of their other slot releases such as Dragon Born and Queen of Riches, this time using a 6×4 pay anyway reel set which gives a whopping 4096 paylines. 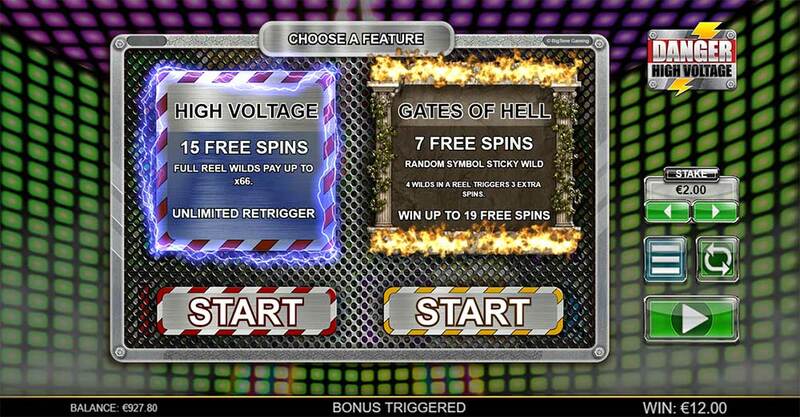 In the base game, there are a number of special features on offer such as such as Wild Fire and Wild Electricity reels, which are in essence wilds that can also have multipliers linked to them, along with this there is also a choice of 2 different free spins modes on offer, once triggered with the usual scatters you get to choose between High Voltage Free Spins and Gates of Hell Free Spins that each have their own unique special features on offer. After playtesting both sets of free spins they both seem capable of producing some very big wins, so make sure to check out both modes to find your favourite. There are 2 free spins modes to choose from once you trigger the bonus round by landing 3 or more scatter symbols on the reels, both have interesting unique features to choose from, with huge multipliers on offer in one and sticky wilds in the other. 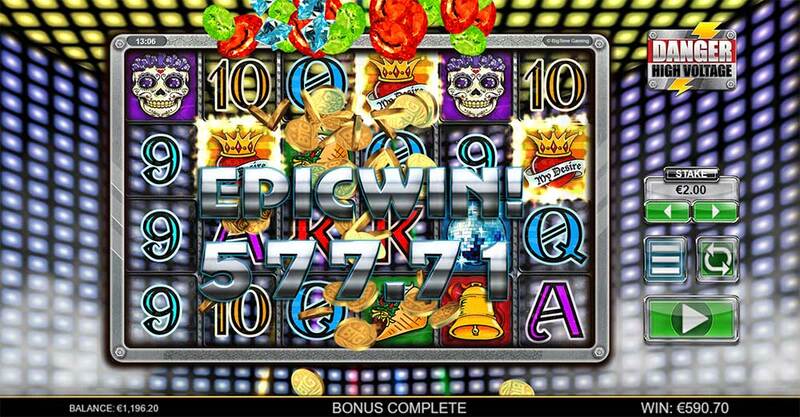 15 Free Spins are awarded, with a special High Voltage Wild which when this lands on the reel will slowly rise in multiplier value, it can stop at any point or rise to the maximum 66x Multiplier which is then applied to any wins. 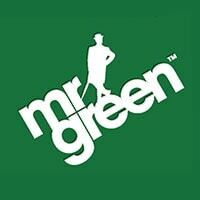 This bonus round can also be re-triggered by landing 3 or more scatters and grants a further 15 free spins. 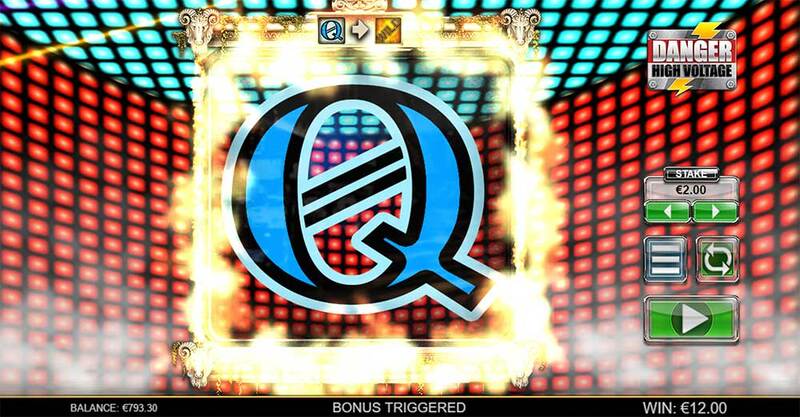 7 Free Spins are awarded, you then randomly pick a chosen symbol from the reels, and when this lands anywhere on the middle reels (reels 2-5) it is turned into a sticky wild and remains on the reels for the rest of the bonus round. It’s also possible to extend this bonus round by covering an entire reel with sticky wilds which grants 3 extra free spins. Danger High Voltage is another interesting release from Big Time Gaming, who consistently provide super high variance slots with unusual bonus features, not quite as good as the very popular Bonanza slot, but if you are a fan of Dragon Born then this will definitely appeal too. Both bonus rounds are easily capable of over 100x wins, with some huge potential in both given the re-triggers and multipliers on offer, our best result in testing was well over 250x with no re-triggers. 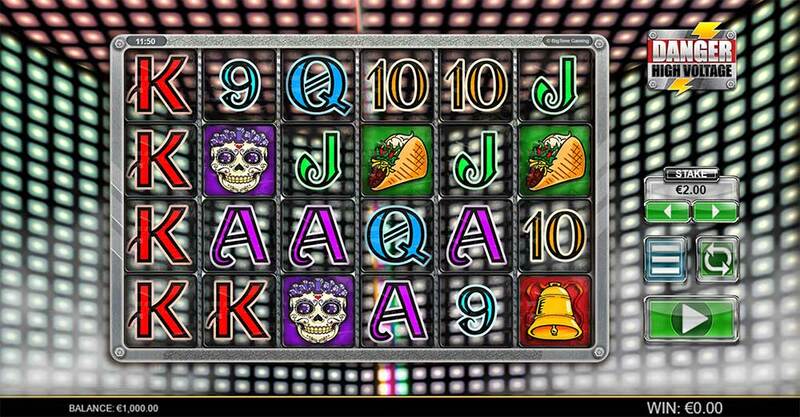 If you are looking for something a little different to play from your normal slots then definitely check out this range from BTG, but beware they can be brutal given the super high variance of most of their slots.